Krista has a passion for showing off the best Western Canada has to offer. Originally from Montreal, feeling the pull of the mountains, she has had the privilege of living across Canada in Jasper, Whistler and Vancouver. 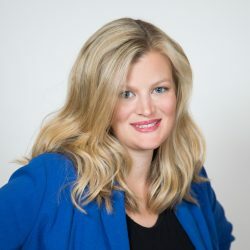 Accomplished with a Certified Marketing and Sales Executive Diploma from UBC Sauder School of Business and over 11 years’ experience in Hotel Sales and Destination Management, Krista’s interest in logistics with a desire to exceed client’s expectations has made her a natural fit as a Program Manager. When Krista has time away from planning and executing events, she is found exploring the outdoors by kayak or on skis; depending on the season.